Last night, Project FeMANism launched an inspiring public art exhibition of works that display men’s support of equality for all sexes. The all-male contributing artists explore what gender parity means to them as the project asks what role do men play in its advocacy? 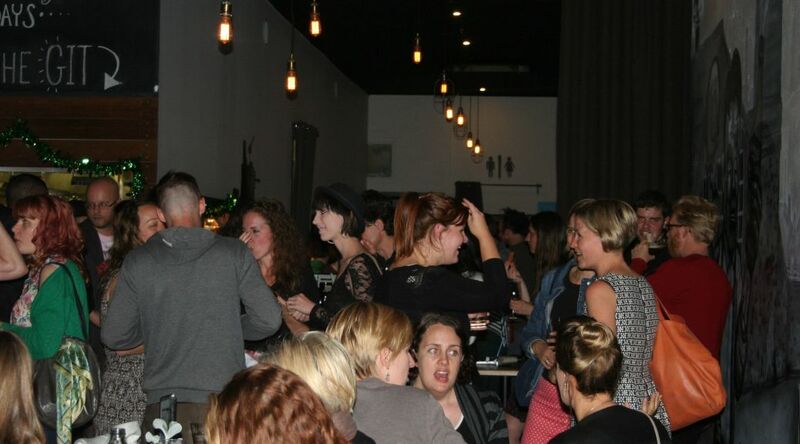 In a trendy new restaurant/bar in Melbourne’s northern suburbs, a selection of art works has been gathered to illicit a new perspective on a familiar topic: the fight for equal rights from a man’s point of view. The artists contributing their work to this exhibition, chosen specifically for their male perspective, were asked what gender equality really means to men. Addressing the packed crowd at last night’s opening, acting CEO of No To Violence Rodney Vlais said, “One of the great things about art is its ability to make things that are invisible more visible.” The art of the Works in Progress exhibition is making visible the importance of men’s engagement in the movement towards gender equality. The exhibition organisers, Project FeMANism, stress that while the fight for equality is often considered a woman’s issue, it is in fact a human rights issue and therefore everyone should be involved in creating the necessary change. “People are finally saying, ‘Where are men in this conversation?’ and ‘Men really need to be taking a stand in this journey,’” said Project FeMANism’s Elissa Hill. The Works in Progress collection is a mix of mediums from painting and drawing, to printing and projection. Displayed along the walls of the spacious restaurant, audiences can leisurely navigate the works and read the artists thoughts that accompany them. The artists include Albie Colvin, Callum Jackson, Losop, Chad Swanson and Nathan Hill, with Tony Sowersby donating his portrait of Julia Gillard and satirical book The Political Landscape for the fundraising raffle grand prize on opening night. The work will be on display for two weeks at the Northern Git restaurant and bar in Thornbury. Some pieces are available for sale, with 10% of the proceeds going to the Family Violence Response Centre. Congratulations to Melbourne photographer Sanjeev Singh and the team behind the beautifully crafted Coffee Capital 2015 calendar, in stores now, raising funds to bring Australian youths out of homelessness. Earlier this year, we met with Sanjeev to talk about his collaboration with social enterprise STREAT. From a desire to make a difference through his art, Sanjeev approached STREAT CEO Rebecca Scott with the concept of donating his time and photographic skills for the creation of a calendar the group could fundraise with. The result is an exquisite product: a desktop “coaster” calendar that features Sanjeev’s astonishing photography, excellent design by Ed Coghlan of Third Cache, and comes beautifully packaged in a coffee bag with a personalised letter from Sanjeev and Rebecca. 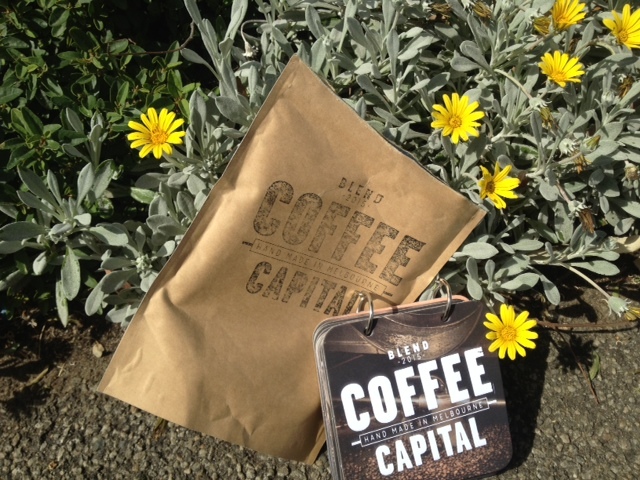 The Coffee Capital 2015 calendar, named so for its celebration of the rich coffee culture in Melbourne, is available from 13 locations across Melbourne, including boutique local goods and souvenir store Melbournalia on Bourke St, Coffee Head coffee shop in Camberwell, the Sun Bookshop in Yarraville, and even a cafe in Inverloch! 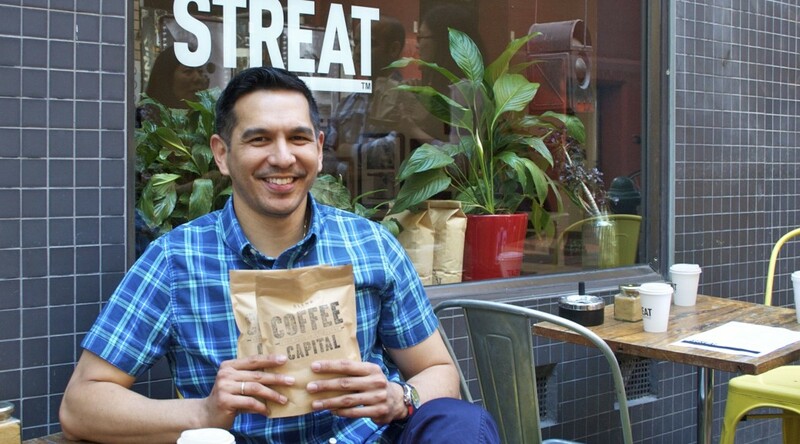 The central idea and inspiration for the Coffee Capital calendar and brand is to fundraise for STREAT’s growing programs and physical space. $5 from every calendar sale ($19.95) is assisting the development of STREAT’s new training facility in Collingwood. The team are also in the final production phase for a children’s alphabet book featuring the street art of Melbourne, so watch this space for more news! To find more Coffee Capital calendar locations, visit www.facebook.com/coffeecapital. Meet Caroline. 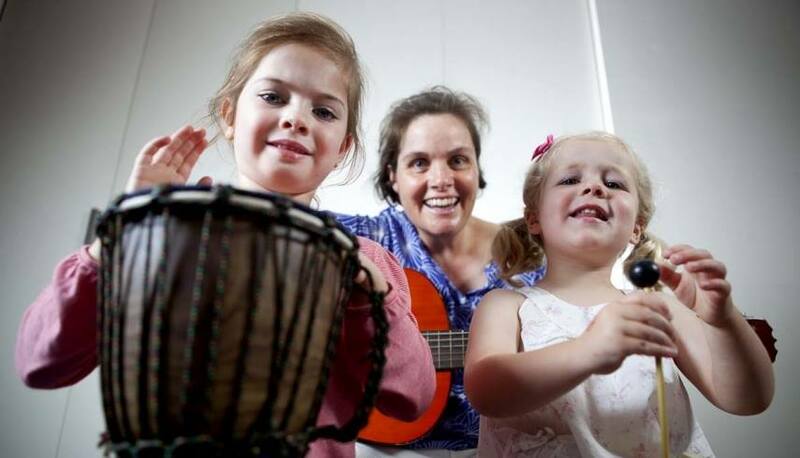 She runs Caroline’s Little Stars, a fun and relaxed music group for babies, toddlers and youngsters that gather in a small eastern Melbourne suburb. But the group does more than sing songs. Through music, Caroline and her little stars reach out right across Australia and overseas to touch the lives of other, less fortunate children by holding monthly fundraising classes. Caroline Morpeth is a primary school teacher who taught in schools for 12 years until her first daughter came along. Trained also in Secondary music, the mother-of-two began Caroline’s Little Stars in 2008, when her eldest was about two years old. Caroline became friends with the teachers at these classes, and they began helping her collect songs and ideas to start her own group. Like all new businesses, her clients at first were her friends, who would gather with their children at Caroline’s house. By the end of the year, Caroline would hire a space elsewhere to accommodate her growing class. She chose a room at St Faith’s Anglican Church in Glen Iris, Victoria, where she still teaches now. It was at the start of Term 1 in 2013 that Caroline kicked off her monthly charity classes. At the start of the year, the dates are decided for the monthly Friday event, offering two morning sessions. At the end of the year, all proceeds from those days are dispersed among charities dedicated to aid for children. Last year, Caroline’s Little Stars raised $3250, donated to three projects: a health program run by Anglican Board of Mission in Papua New Guinea, Anglican Overseas Aid’s Gifts of Light program, and an Anglicare project that supports children in crises, at that time aiding tsunami affected families in the Philippines. St Faith’s also plays an important part in Caroline’s endeavour, supplying the hall to her for free on her charity days. Just like the littlies attending the classes, Caroline’s Little Stars continues to grow. Last July, two new days were added, including Wednesdays at Ashburton Community Centre. While the charity classes remain popular, this year there are usually some spots available. The remaining dates for 2014 are October 10, November 14 and December 5.